This is the first quarterly Climate Digest which replaces our previous monthly Climate Digest product. The December 2015 through February 2016 seasonal global temperature was the warmest Northern Hemisphere winter ever recorded. Several countries and some continents reported record warm temperatures, but no land areas observed record cold temperatures for the December to February period. 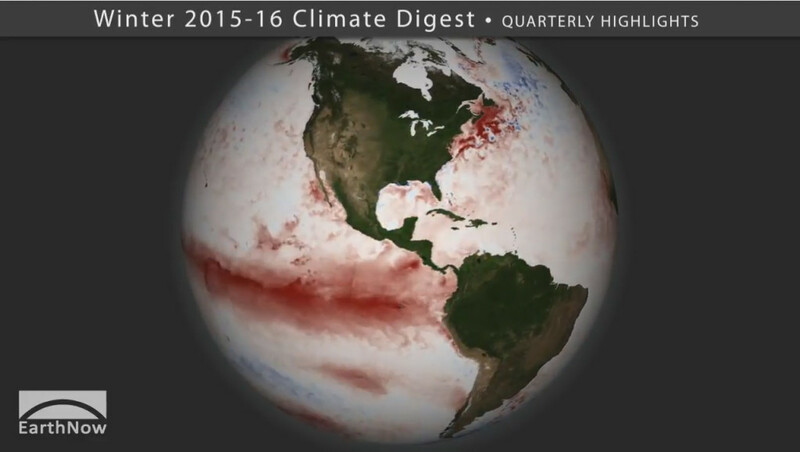 The quarterly climate digest, produced seasonally, consists of a short movie (3:42 minutes) made for SOS and an MP4 video accessible through YouTube, but none of the individual data-sets previously produced for the monthly climate digest product. Snowfall Totals from the record-setting January Blizzard in the Northeast U.S.